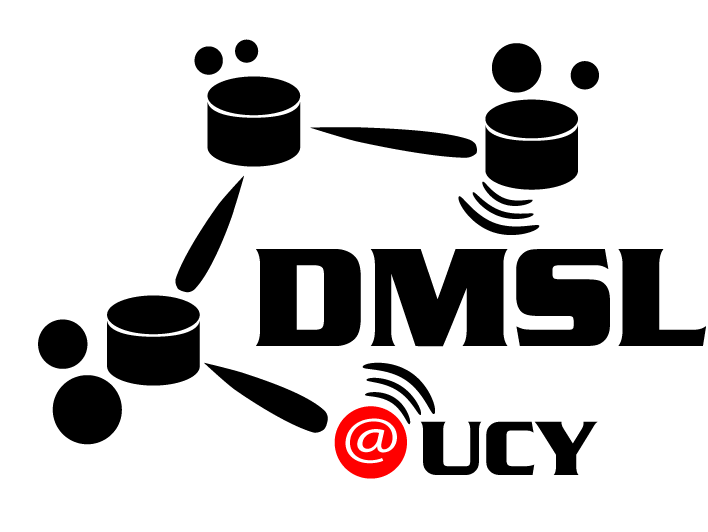 Smart P2P is a novel framework for searching objects (e.g. images, videos, etc.,) captured by the users in a mobile social community. Our framework is founded on an in-situ data storage model, where captured objects remain local on their owner’s smartphones and searches take place over a lookup structure we compute dynamically. 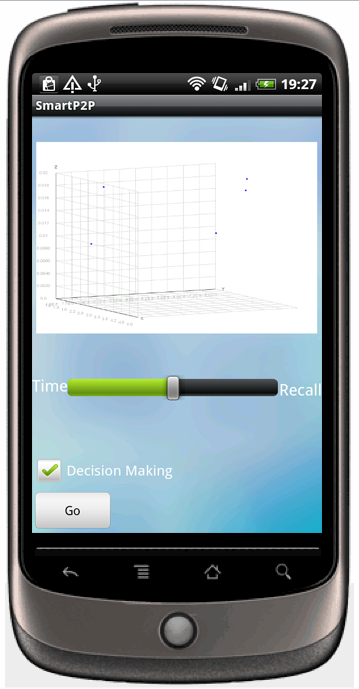 Initially, a query user invokes a search to find an object of interest using any of the four optimization approaches implemented in our prototype system. 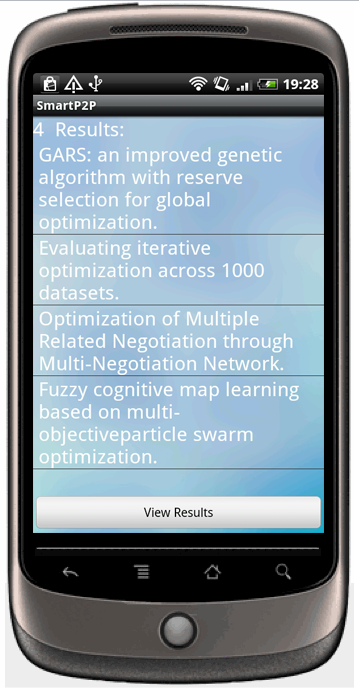 In particular, the query user can select a Single Objective Optimization approach, i.e. BFS or Random. , or a Multi-Objective Optimization approach (MOEA/D, NSGA-II) that concurrently optimizes several conflicting objectives and calculates a set of high quality nondominated Query Routing Trees (QRTs) in a single run. In the latter case, the optimal set is then forwarded to the query user (decision maker) to select a QRT to be searched based on instant requirements and preferences. 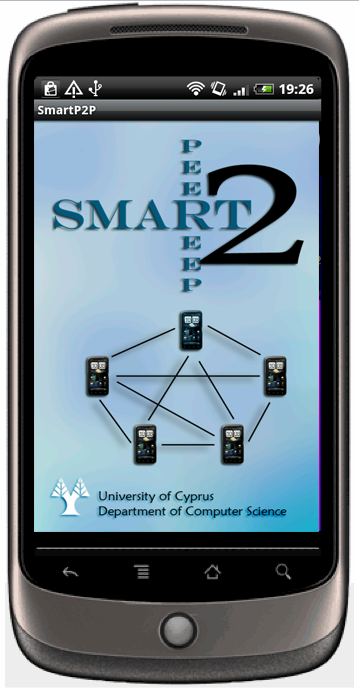 Find here a demonstration video of the SmartP2P on our cloud of smartphones (SmartLab) composed of 40 Android devices.